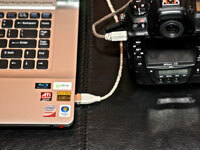 1Transfer your photos from your camera to your computer. 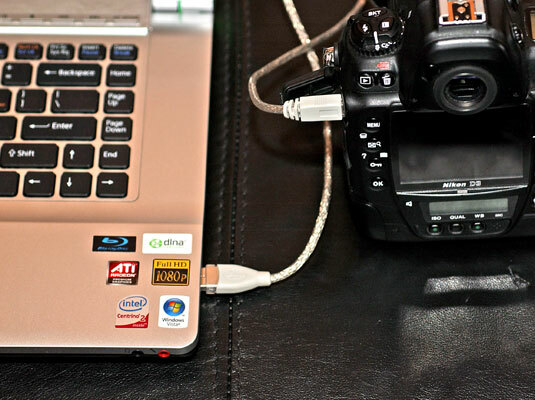 This image shows a camera connected to a computer by using a USB cable. 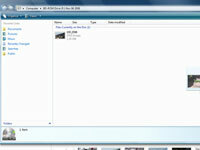 2Use a standard destination for saving your images. This point in your workflow can help determine how easily you can locate a particular image at a later date. 3Convert any Camera Raw files. You can convert your Camera Raw files at various points, including while you transfer (as shown in this image), as a group after transferring, or individually when you’re ready to edit. 4Set a routine in your image editor. 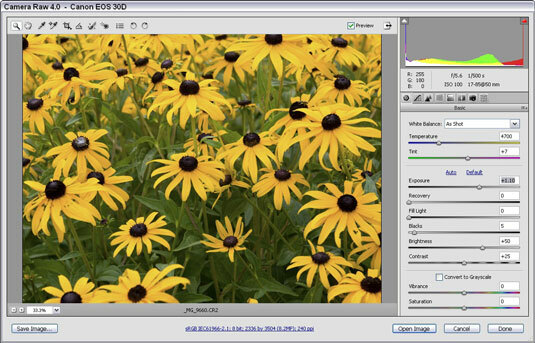 You have a lot of options after you import a photo to your image editor. 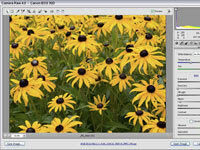 The order in which you crop photos and adjust color, for example, can be important, so establish your routine. You need to figure out which of your files you want to back up, what you want to copy them to (such as DVDs, as in this figure), how many copies you need, and where to store those copies.